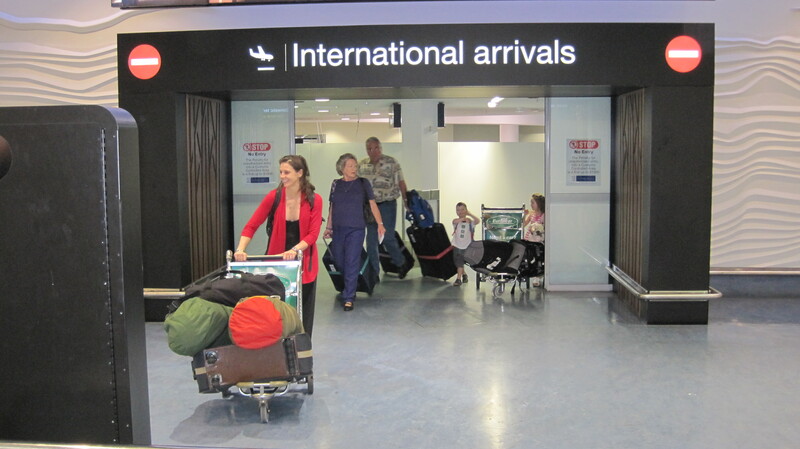 Jenna and I drove out to the Auckland International Airport last night to pick up our friend Maureen and her kids Cole and Cora. 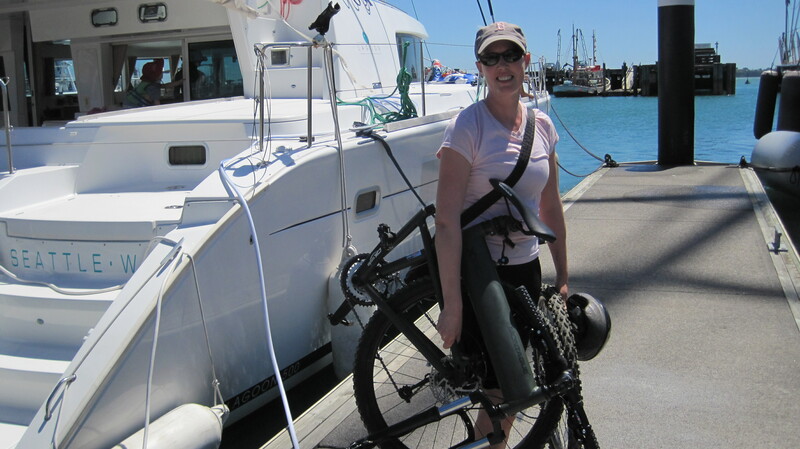 They flew 20 hours from Seattle in order to join us for a vacation on Sophie in New Zealand. With this airport pickup, the 2014 season of “Sophie Adventure Cruises” has begun. Readers of this blog know that for me and Jenna, one of the best things in our life these days are the times when we can host friends and family from back home on our cruise around the world. 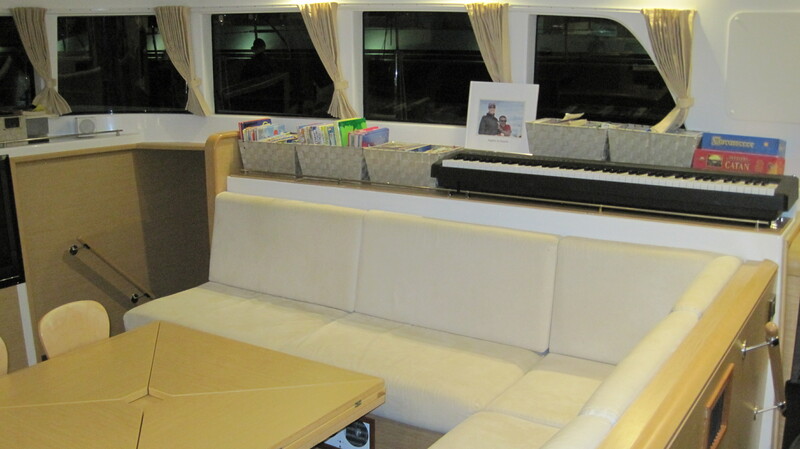 We jokingly refer to this as “Sophie Adventure Cruises” because for our guests it’s like going on an exotic luxury vacation, and for us it’s an opportunity to throw lots of energy into swimming, fishing, exploring, cooking, drinking, dancing, and celebrating the overall sense of joy in our lives on the water with the people we love. 2014 is filling up fast! We plan to remain in New Zealand through the end of April. Maureen and kids will be joined by her husband Troy at the end of the week and will cruise with us off and on through the end of this month. Troy and Maureen joined us sans kids in Fiji in September, making them our first repeat couple on the cruise! My college friends James and Maureen will then join us in the first week in March for a week, and Seattle friends Ravi and Alison will cruise on Sophie later that month. 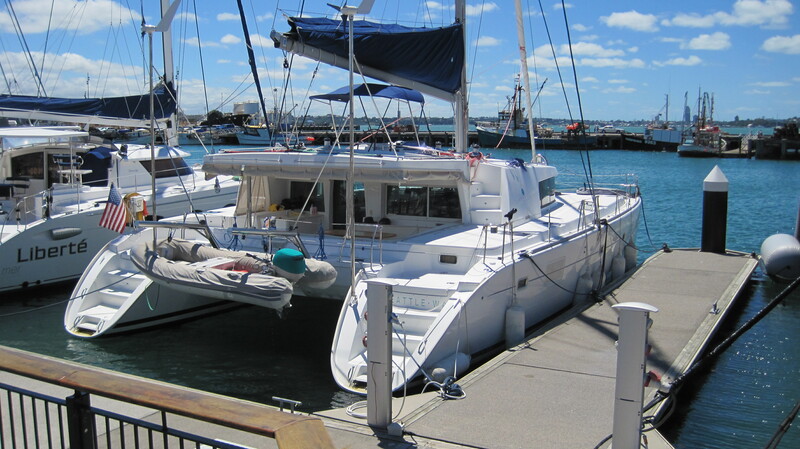 Towards the end of April, Dan (the famous tattoo dude from our crossing to the Marquesas) will fly to New Zealand and help us sail Sophie the 1,000 miles back up to Fiji. 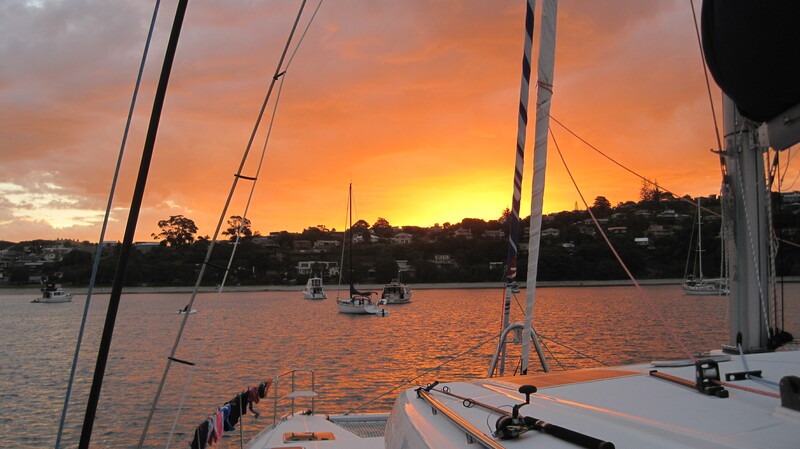 We’ll be greeted there in May by Ian and Becky, who had so much fun getting hooked in the Bay of Islands that they are coming back for more punishment, this time in an area with much warmer water. Later on in May I will fly to Boston to attend my son Max’s graduation from law school, and Max will return with me to spend the month of June studying for the bar exam while watching every World Cup soccer match from various backpacker beachfront bars throughout western Fiji. 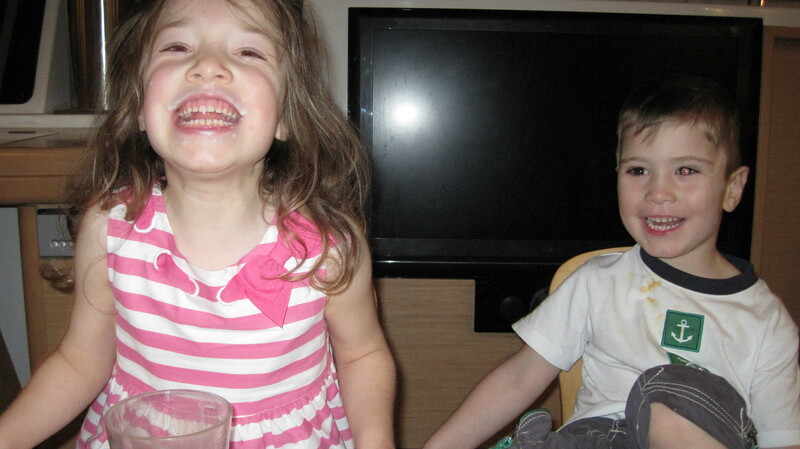 Later on in June, we will be joined by Jenna’s sister Julie and her husband Silas for a couple of weeks. Julie and Max spent a summer working together in a boat cleaning business back at Elliot Bay Marina in Seattle, and even though they are now (or soon will be) respectively a physician and an attorney, Jenna and I both hope they have not walked away from their past and still remember how to properly apply wax to fiberglass and metal polish to stainless steel. In July, we will all fly back to the United States to reconnect with friends and family in Seattle, New England, Pennsylvania, and Michigan. There will be a family wedding in Maine as part of the trip. For Jenna and the kids, it will be their first visit back to the US since we left San Diego almost a year ago. In August it’s back to Fiji, and our Seattle friends Mark and Cathy will join us for a week or two. In September, my daughter Sara and her friend Julie will join us and we will finally resume our westward journey and head to Vanuatu and it’s volcanoes. From there we are thinking we’ll head to the Solomon Islands and then to Indonesia. We are not sure how much time we will spend in Papua New Guinea on the way. But that is over a half a year out, and if there is one thing we’ve learned from cruising so far, it’s that plans rarely remain firm when they are a half a year away. Except, of course, when it involves family and friends traveling halfway around the world to join us. That pretty much summaries our thinking of how we plan to spend our next year. There is some talk of Jenna organizing a “Girl’s Week” in Bali. We also hope that more folks from back home take advantage of the few remaining slots in our calendar in 2014 and join us. But overall we have a pretty good sense of where we are going, and who will be joining us. In terms of last night, all four of us get pretty excited when our visitors are about to arrive. … and on the inside. 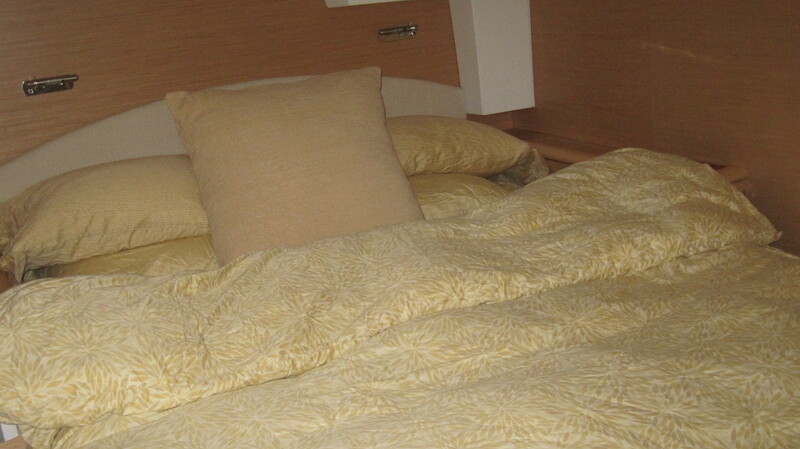 Most of our guests stay in “The Yellow Room” — formerly “Julie’s Room”, “Holly’s Room”, “Sara’s Room”, then “Richy’s Room”, then “Max and Becca’s Room” etc. — the list of names of that room has turned into an honor role of guests that goes back to the beginning of Sophie. And the aura of that room continues to grow, because in the process of cleaning it this week I discovered a Victoria’s Secret black bra — size 36 C — lodged underneath one of the drawers at the foot of the bed. It was right next to a kid’s swim diaper. Every woman who has slept in that room since we left Seattle in September 2012 denies ownership of the bra. For all we know it may have been there for years. We used to have some pretty fun times hosting friends on Sophie for the Thursday night “Downtown Sailing Series” races back in Seattle, but Jenna and I never realized some of our crew had that much fun. So if you happen to have spent some time on Sophie and inadvertently misplaced this bra, please let me and Jenna know. 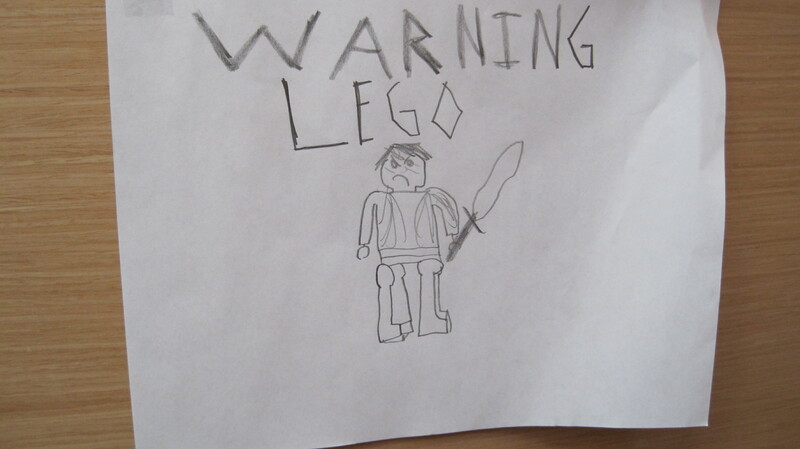 We will handle all inquiries with the appropriate level of discretion. Leo got into the cleaning act and actually cleaned his room because he will be sharing it with Cole for the next week. 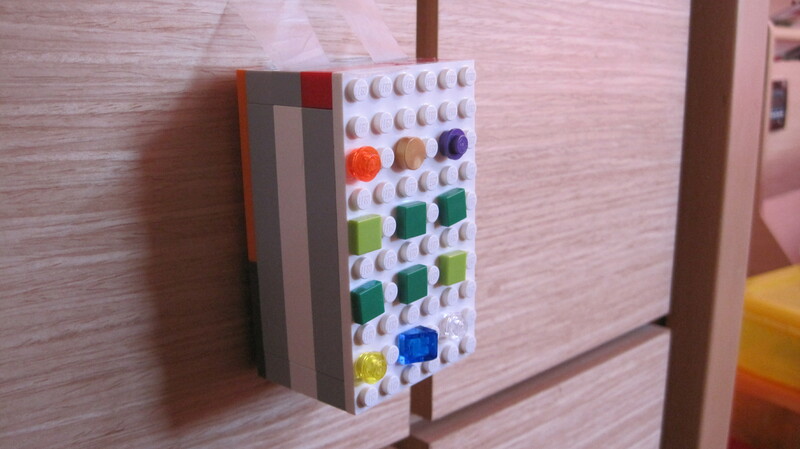 However, in order to protect his stuff he built a Lego security keypad, which he mounted on the wall. 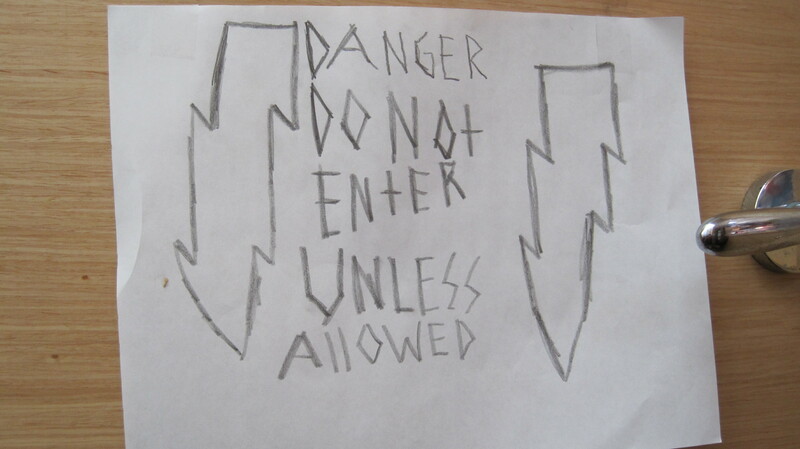 He also posted the appropriate warnings on his door, for safety purposes of course. Not all of the preparation we do in advance of visits is skin deep. I spent 5 hours troubleshooting the lighting in Maureen’s Room (formerly “The Yellow Room”) because the darn lights wouldn’t go on. I assumed that since the French builders used an orange (meaning protected) cable, there was a hidden fuse somewhere behind the walls. There wasn’t, it was a bad connection on the switch by the bed, a switch I had completely forgotten about. But it’s fixed, and that’s what counts. I also usually have to clean out all of the filters in the head (bathroom) sump pumps, which in Hazel’s case involved extricating a cocktail of ponytail rubber bands, necklace beads, and glittery hair from the spot where the drainage hose enters the sump pump filter. In other words, another hour or two of bilge yoga, just to make the sinks work. 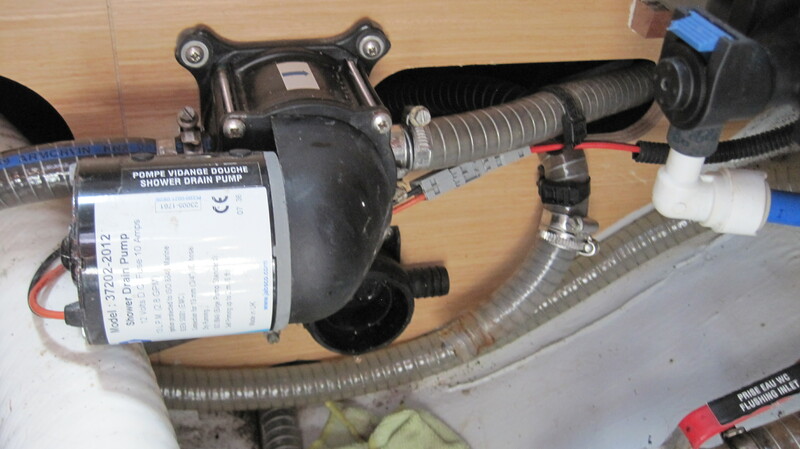 This is a photo of the sump pump with the filter below it. The hose going into the filter is not attached, due to the need to remove the aforementioned cocktail. But there is a quid pro quo involved in our hosting friends and family from back home, because they usually carry with them A LOT of stuff that we need. In Maureen’s case, she carried two duffle bags weighing 100 pounds in total — in addition to her own luggage, two young children and their respective car seats — on her flights halfway around the world. For Sophie and her crew it was a nice hall. 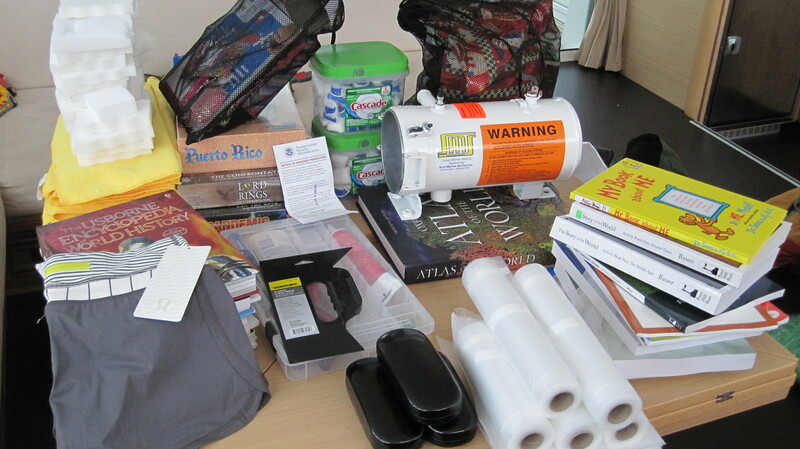 Christmas presents, school books, spare parts, cleaning supplies, and stuff you just can’t easily get in New Zealand. 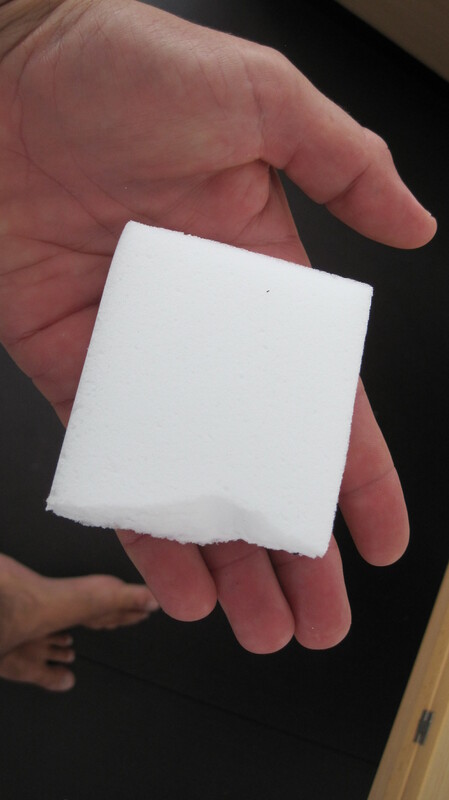 For example, it turns out that it is quite difficult to find Mr. Clean Magic Eraser pads in New Zealand, and these things are worth their weight in gold in terms of their ability to easily remove stains and moldy spots from fiberglass and rub rails. But the TSA must have wondered why Maureen was carrying 30 of them in her luggage, because 4 of them had been neatly been torn in half, I assume during their physical inspection of her duffel bags. Nothing but solid Mr. Clean Magic Eraser magic here. 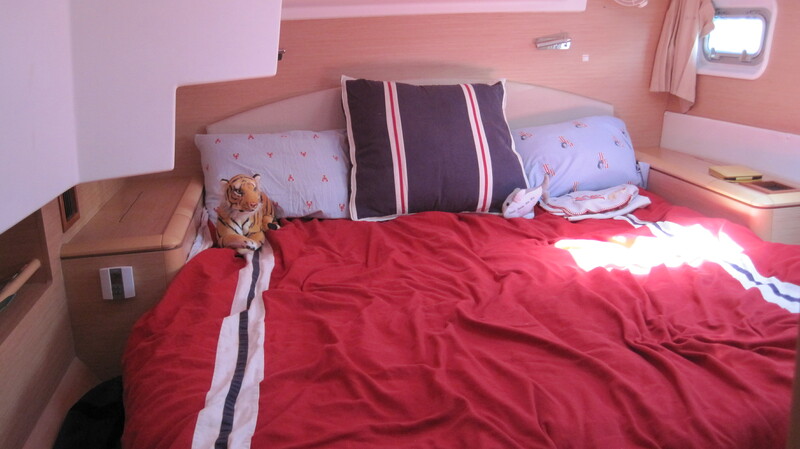 Jenna and I also want to make sure that we have the right equipment on board to maximize the “Sophie Adventure Cruises” experience for our guests, and we have made two significant additions in this department in advance of the 2014 season. 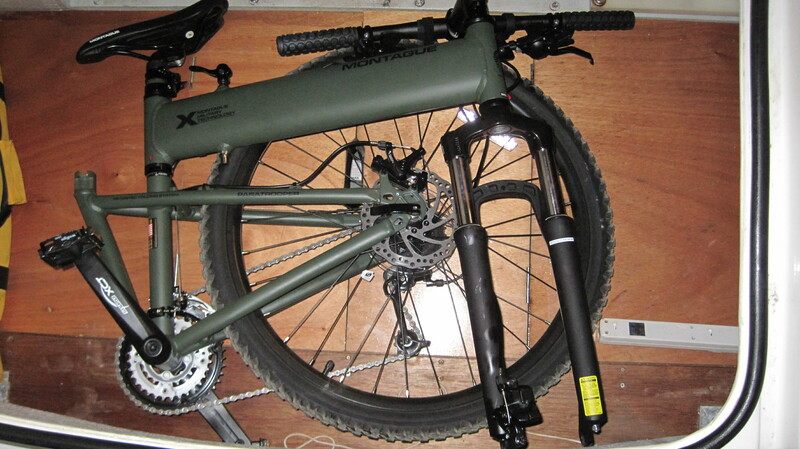 For starters, Jenna and I bought each other folding, full-sized mountain bikes for Christmas. I hauled them back from the U.S. last week. 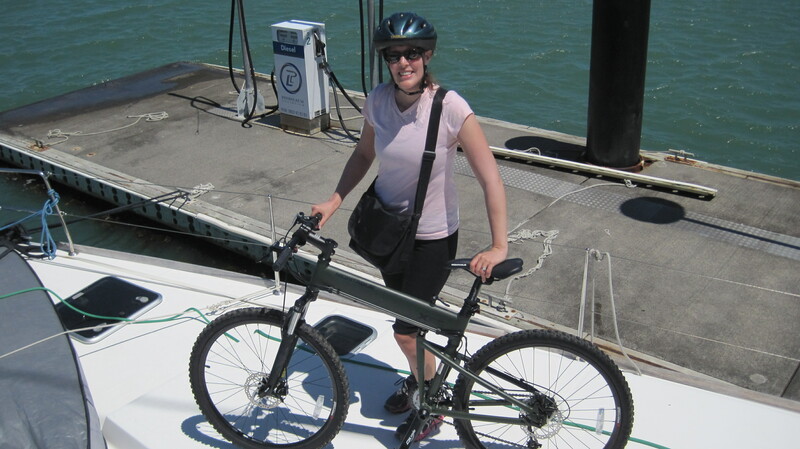 They claim to be made with something called “Military Technology”, but they seem reliable and are much faster than the small-wheeled folding bikes we had ten years ago. They fit nicely under the hatches in each of Sophie’s engine compartments. Jenna can easily lift them off the boat and onto the dock. And from there they easily snap together and are ready to go. We’ve only had them for a week, and that have already helped us immeasurably in dealing with the logistics of provisioning and getting from point A to point B. We hope that our friends and family will enjoy using them to easily explore different spots along the way of our journey. Our second big addition for 2014? Dinghy Wheels! 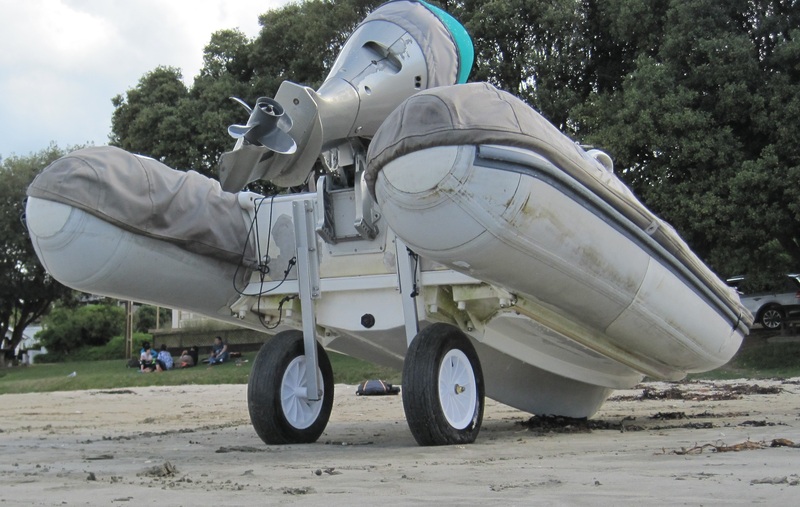 These babies could have come straight off of a Boeing! I bought them on the spur of the moment at a West Marine in Seattle two weeks ago, and they are simply awesome. 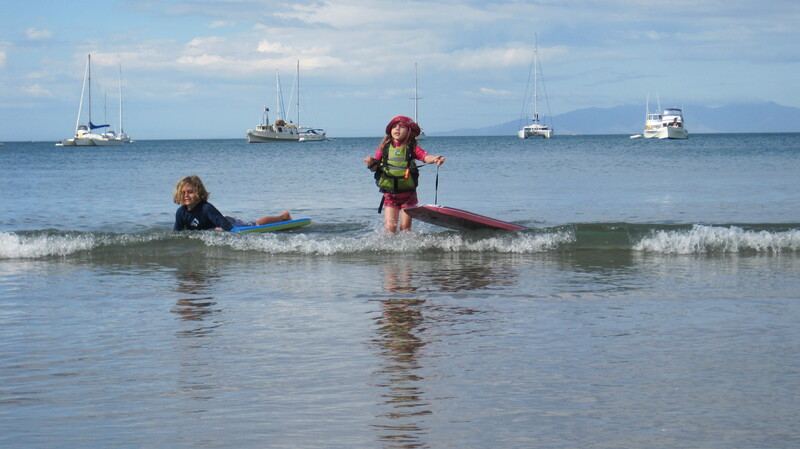 We have a heavy dinghy, and we often visit beaches with a gradual slope, significant tides, or big surf. Jenna and I could barely move the dinghy by ourselves, and this eventually limited which beaches we could visit and when we could visit them. 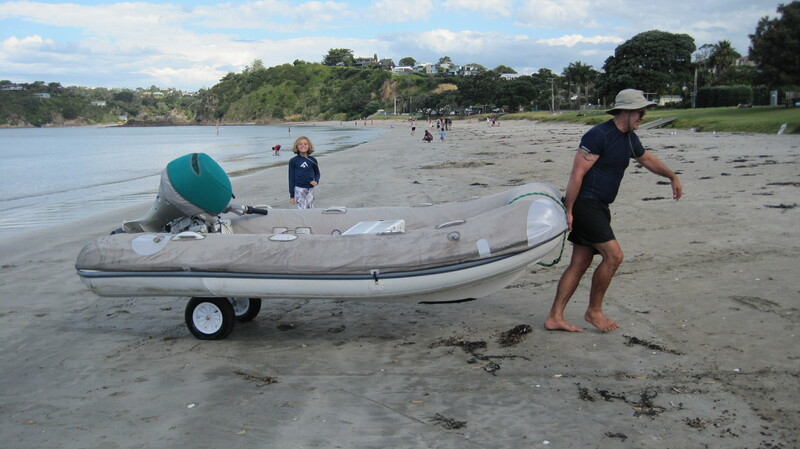 But with the new wheels, I can easily move the dinghy by myself up and down 100 feet of beach with no problem at all. We put it to good use today (and nice photo bomb there, Leo). But the best thing about hosting friends and family from back home isn’t having a clean boat, it isn’t the receiving of loot from back home, and it isn’t the ability to play with new types of water toys. 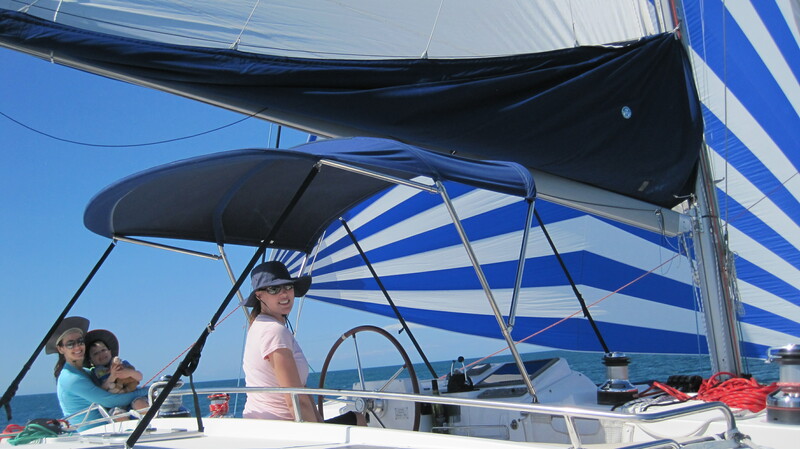 For us, the best thing about these visits is the ability to simply go out sailing with people we love, and then anchor in a quiet harbor and play in the water. That’s what we did today with Maureen and the kids. Cora and Cole hadn’t been on Sophie for over a year and a half, but they felt right at home when they got on board last night. It was well after midnight, and they had been on planes for practically a day. They seem right at home. 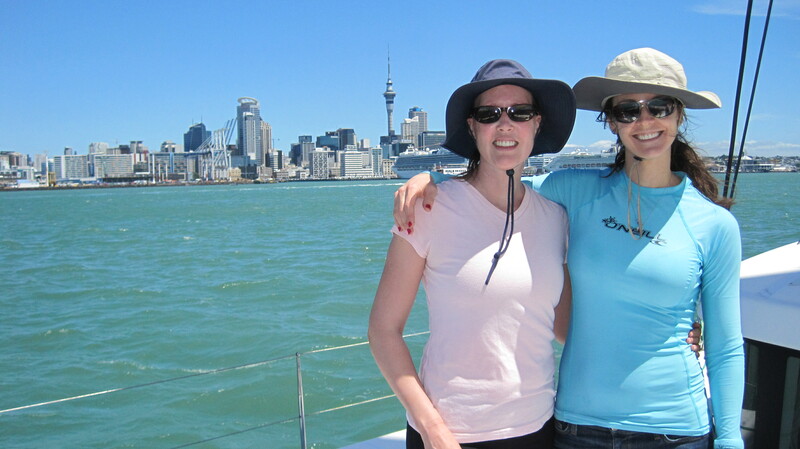 Maureen has been sailing on Sophie pretty much since we got her six years ago, and it was great seeing her and Jenna work the foredeck together as we once again sailed away from Auckland on a day with weather MUCH NICER than the snow they were getting back home in Seattle. 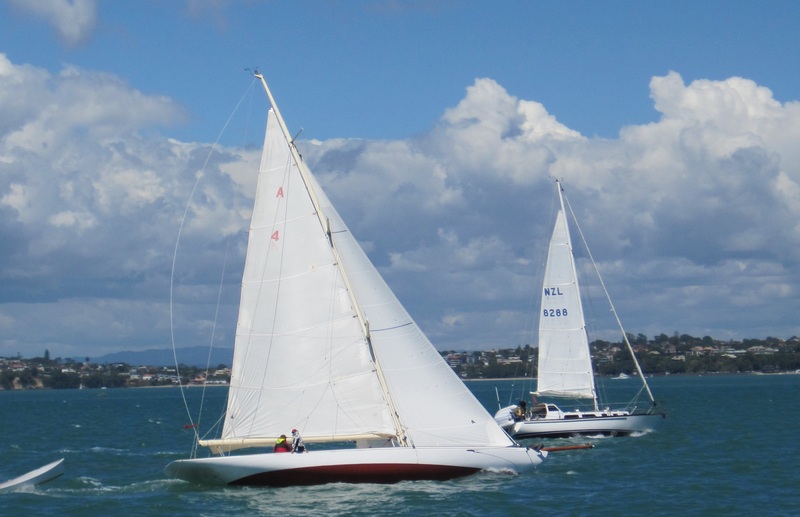 We had a nice broad reach for about 13 miles out to Waiheke Island and enjoyed the opportunity to use our favorite sail. On the way we made sure we took the time to admire some of the local Kiwi lovelies. … especially when they conned one of the grown-ups to play speedboat and pull them along the water’s edge so they could skim at a high speed. This was done over very short distances. By the time we got back to the boat, it was 6:30 PM. We made a quick dinner (curried chicken, rice, kale, green beans, apples, pinot noir). The younger kids crashed relatively quickly. Leo stayed up and played UNO with Jenna and Maureen while I wrote this blog. It was a long day, but we collected our friends, got out of the city and made it to a nice anchorage. We even had a bright rainbow followed by a nice sunset. Tomorrow we’ll head 50 miles around to the other side of the Coromandel Peninsula and hang out on the beaches of Great Mercury Island. These are beaches we love, and we are with people we love. Hey- great post! What do you want us to bring? Don’t count on 100lbs tho’!